Coming up with an online brand strategy that is unique and impactful is difficult, but an American fast-food joint named Wendy’s seems to have stumbled upon a strategy that resulted in a spike in sales and enhanced brand recognition. If you haven’t heard of Wendy’s new strategy, it basically involves Wendy’s responding wittingly to trolls on Twitter who are either insulting Wendy’s or complimenting their competitors. Wendy’s is unapologetically roasting people along with its competitors and it’s hilarious! Most responses are playful while others were quite harsh; either way, Wendy’s took a huge risk. 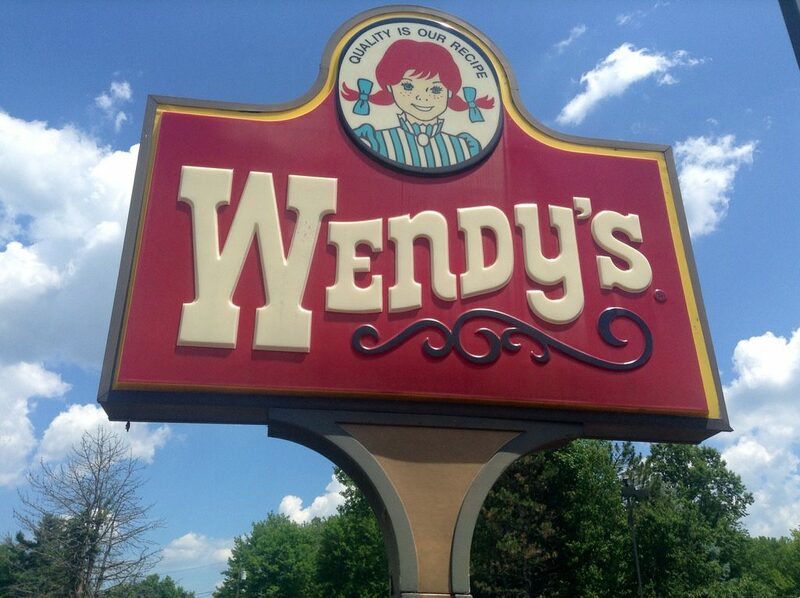 Wendy’s identity was lost in the competitive world of fast-food ruled by McDonald’s and Burger King but it managed to make a name for itself through this controversial but extremely bold strategy. Is the strategy really working? One of the main objectives when implementing an online brand strategy is to generate word-of-mouth and if you get it right, you can become viral. Keeping that in mind, Wendy’s tweets are definitely being talked about and creating meaningful connections online. Most online brand strategies implemented by brands that have gone viral involve spreading positivity by integrating CSR strategies or depicting something that appeals to the audience’s emotions. Wendy’s has taken a completely different route. As a marketer you’re taught to always put customers on top and here you have Wendy’s sarcastically responding to tweets, mocking potential customers and major competitors and surprisingly, it’s paying off! The fast-food joint boasts 1.2M followers on Twitter now and each tweet is getting around 10,000 shares and 30,000 likes. Wendy’s is certainly treading dangerous waters. Tweets directed to the trolls are undoubtedly hilarious but the moment Wendy’s begins to target industry giants with brutal insults, the fear of retaliation kicks in. It’ll literally just take a single tweet consisting of a false claim by Wendy’s before it gets slammed with a lawsuit but that’s only if Wendy’s crosses that fine line. As for now, spectators are watching and applauding the sass being displayed by the brand. According to Forbes Magazine, the reason people’s response to the strategy has been so overwhelmingly enthusiastic is because of its originality, it’s humor, it’s shock-value and because it’s a little controversial too. Originality: No brand has dared to go down this route before. Social Media users appreciate something that is unexpected and novel. Like mentioned earlier, it is highly unexpected for a company to mock those that it is ultimately trying to sell to. It’s a first for a business and people are drawn to it. Controversy: Some of the most viral videos and stories on Social Media are those that are controversial. Through controversy you gain instant visibility, you draw attention to your brand and you polarize the audience. The visibility helps, as long as long as people are sharing your content whether they agree with it or not, your brand remains in people’s minds. Polarizing your audience might initially feel like a bad move but remember you’re also sparking passion in the audience that speaks in your favor.Of course, there are major risks involved when you are going down the controversial route. You’re putting your brand’s reputation on the line, you don’t want your brand to be associated with the wrong things (ex. Abercrombie & Fitch being has been accused of racism) and you don’t want your brand to be exploitative either. Humor: Incorporating humor into your brand strategy helps you to strike a better connection with your audience. It portrays a more approachable, personable side of the brand; one that wants to do more than just sell to you, it wants you to laugh. Consistency: Upon seeing how the audience has reciprocated to Wendy’s tweets. Wendy’s is going out of its way to respond to as many people as possible, even to those that are asking for themselves to be roasted. It may not be a strategy for the long-term but for now, it’s keeping Twitter followers hooked to their newsfeeds. Escalation: Wendy’s is upping the ante, it’s not going to let its tweets get boring anytime soon. The tweets are becoming more personal and more controversial, keeping the audience interested. Whether or not you agree with Wendy’s roasting strategy, you’ll have to give it credit for the originality it’s shown and for being so daring. Its roasting strategy may not be as useful in the long-run but for now, it’s given Wendy’s that much-needed oomph to compete with global industry rivals. Does your brand have an effective visual brand identity?